Don't open attachments from suspicious sources. Don't click links from suspicious sources. Do be cautious even with sources that look legitimate. Do forward suspicious emails to phishing@irs.gov. Do alert the IRS if you may have sent private data to an unauthorized party: dataloss@irs.gov. Do alert the Tax Commission if you may have sent private data to an unauthorized party: fraud@tax.idaho.gov. 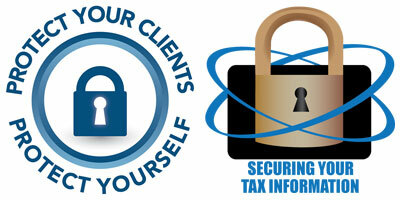 The IRS has provided over 30 security awareness tax tips all linked from one page. Read them to protect your client and protect yourself. Page last updated September 18, 2018. Last full review of page: July 26, 2017.